I don't want to rain pee on the NaNoWriMo parade. I know all kinds of fabulous writers who are participating, and they're bubbly and excited and joining 15 kajillion support groups each (where they will find time to write, what with visiting all the support groups, is another issue, and Not My Problem). I'm happy for everybody, truly. And it's not like I'm bailing on NaNoWriMo to go make holiday angels out of tampons. I have a purpose for bailing, not an excuse. Since I finished my last novel, about six weeks ago, even though there's no deadline, per se, I feel compelled to finish editing it and get it to my agent before she dies of old age. Or before I die of old age. (This would make it harder to finish editing.) 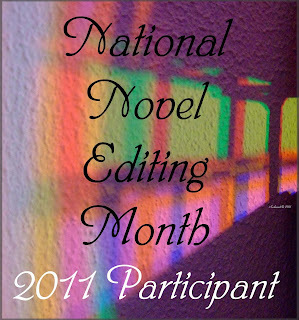 Therefore, I am utilizing NaNo November for editing, rather than writing something new. I have made a pass (okay 2-3 passes) over my manuscript, and feel very upbeat about the many changes I made, but I know much more needs to be done. I'm working closely with Donald Maass (okay, with his workbook) to supercharge this puppy. Plus running chapters past my amazing, magickal unicorn of a crit group. And, as I've blogged before, everything else in my life is taking a back seat - blogging, commenting, dating, scampering through fields of flowers with my hair streaming behind me like in a shampoo commercial. I've never actually done that, but I've imagined doing it. Hasn't everyone? Okay, just a few other detours. The amazing and generous Arlee Bird from Tossing It Out made it possible for me to score a pass to BlogWorld this Saturday, so the pass is in my hand, and I intend to blog a bit about what I am sure I will learn, sometime next week. Looks like a bright shiny interesting party. If you are planning to attend, drop me a note, Tweet, or smoke signal, let's try to connect. Anyway, popularity. I think it's great that people are doing NaNoWriMo. And I think it's great that some people, like me, are not doing NaNoWriMo, if we have decided another path better fits our needs this November. Being in the middle of something that's popular isn't necessarily a bad thing, but it's not necessarily a good thing, either. 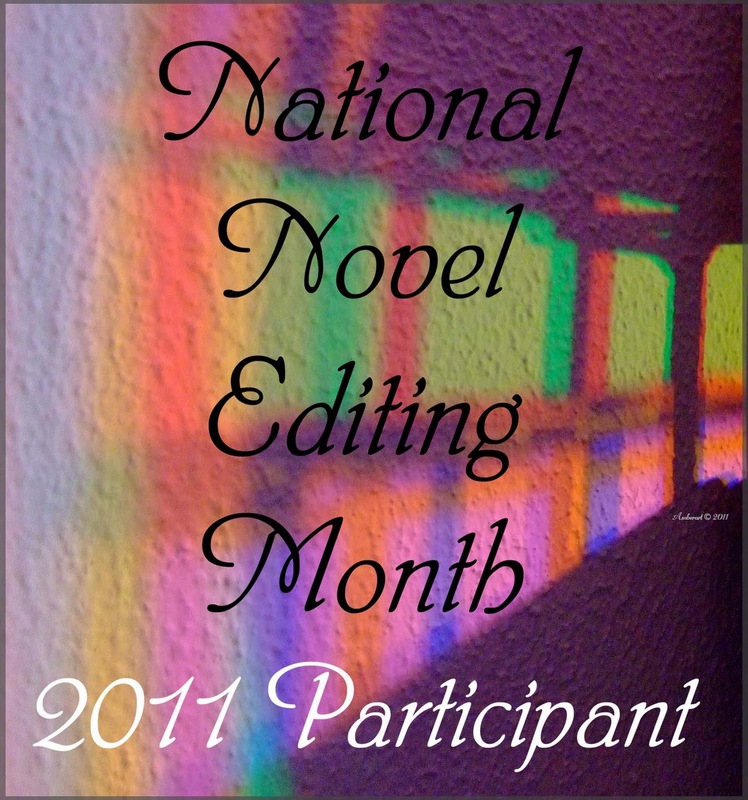 What do you think about NaNoWriMo? Are you playing along, or sitting it out? What do you feel about Popularity?